In this volume: Snatched out of their life in Spain, Leocardo and his blind sister Odette find themselves on an island with no recollection of the trip. After foiled attempts to escape, Odette’s strange behavior gets worse. Even after learning the island has bestowed magic upon them both, Leocardo faces the possibility his sister is having a mental break down. Just as he thinks he is settled in, job and romantic life stable, Odette disappears. Blind Sight is a good example of an interesting idea poorly executed. That being said, I have only read the story from the perspective of Leocardo. From the beginning the story tries to keep the reader interested by not letting you know what is happening. Im sure the purpose was to try and keep us interested with a sense of mystery but all it accomplished for me was frustration for the first 50 or 60 pages. There is difference between creating a sense of mystery and leaving the reader playing mental hopscotch. The middle of the book things eve out and it becomes a worthwhile read. 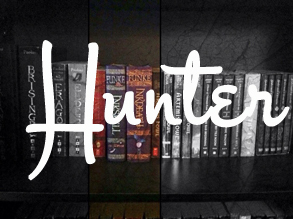 I started to care about the characters as I saw their frustrations and infatuations develop. Unfortunately as the mystery starts to unravel so does the tempo of the story. Leocardo doesnt even find the answers he looking for before the climax forces him and his love interest into a life threatening situation. To my disappointment the author becomes guilty of one of my biggest literary pet peeves, and that is wrapping up a story too quickly, in an unsatisfying way. It felt like a good date being cut short and it soured the experience for me. Overall I liked the idea of what was happening but pacing of the book was not done well. 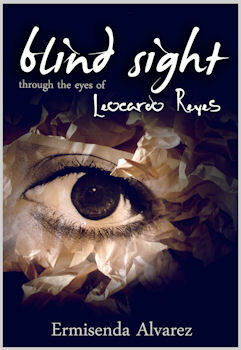 I give Blind Sight Through the Eyes of Leocardo Reyes two bookshelves out of five. Thanks for the honest review. It's a shame it didn't grab you as well as Ana's did. :) Happy blogging and thanks for giving it a go!